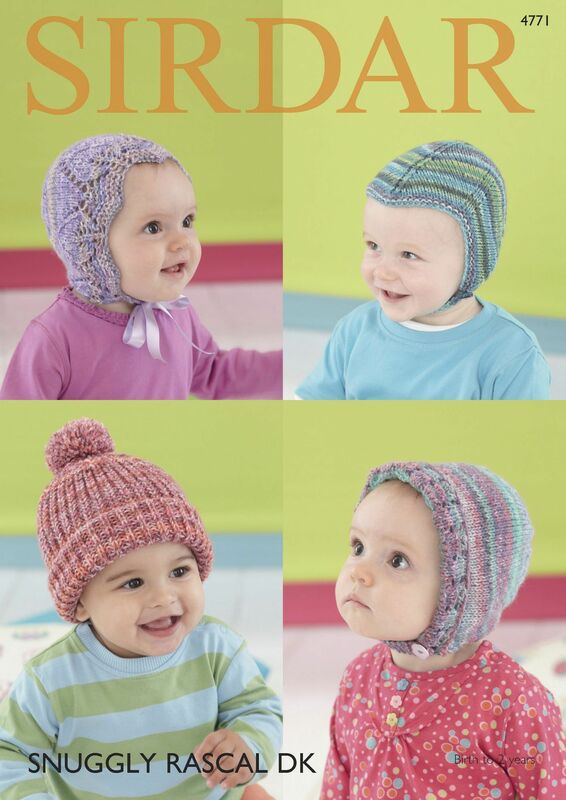 Helmet, Leaf Lace Bonnet, Ribbed Hat and Shell Edged Bonnet knitted in Snuggly Rascal DK. Also suitable for other Sirdar DK yarns. Also suitable for other Sirdar DK yarns. A metre of Ribbon is also required.